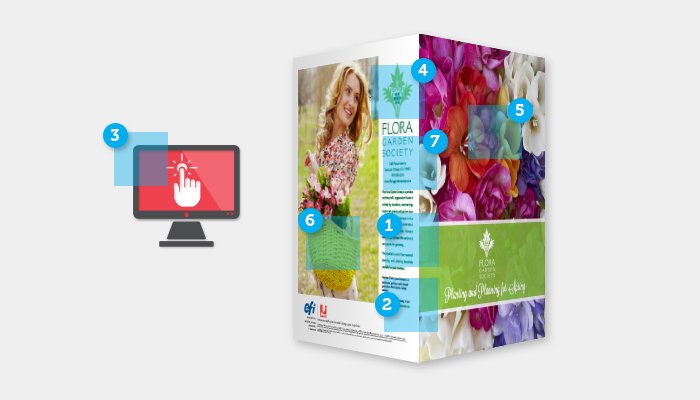 Fiery Impose provides professional layout tools to produce any type of booklet using an easy visual interface. The interactive preview allows you to see imposition changes as you make them. Once settings are defined you can speed production with imposition templates to automate future jobs. Marketing collateral includes company logos and brand colors defined with spot colors such as PANTONE®. Fiery servers support PANTONE and other color systems to match a desired spot color on a given printer. Fiery servers correctly render and produce accurate colors for documents that contain a mix of spot colors, multiple color spaces, transparencies and overprints.